Why waste your valuable family time, on tedious cleaning chores! Our skilled team of courteous cleaners at locally owned House Cleaning Brisbane can do those projects for you, letting you spend quality time with your family or simply relax. And when we’re done, we leave you with a completely cleaned and freshened home you can sit back and enjoy. We offer reliable, professional cleaning that match your specific needs and tackle even the most difficult parts of a thorough home cleaning. Our services are always friendly and prompt, and we listen to our customers when they tell us what they need. Customer satisfaction is why we are here, plain and simple. When our customers see how we surpass their expectations, we know they’ll be happy enough to tell their friends about us. If you need help on a regular basis, or a one-time visit, we are the company to choose. Our services can be enjoyed on any sort of basis, such as weekly, bi-monthly, or just a one-time deep cleaning. During each cleaning visit, our skilled crews quickly get to work dusting, vacuuming, mopping, cleaning, and disinfecting all key living areas, hallways, baths, and rooms. You will find we use the very best cleaning materials, tool, and methods to get the consistent results that keep our customers happy and coming back. Go ahead and give it the white glove test… we make sure no area is neglected. Every home is different and requires its own specific chores. 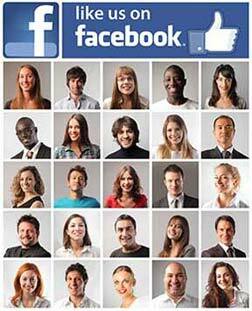 House Cleaning Brisbane offers fully individualized programs that suit your budget and overall cleaning needs. We have experienced staff who will consult personally with you so we fully understand exactly what work you need to have performed. This is all part of our free quotation process that will uncover any special requests you might have and allow us to provide you a completely personalized bid. No matter what visit schedule you desire, weekly or bi-monthly, House Cleaning Brisbane expert technicians always leave you with a sense of pride in your fresh, clean house. All houses have high-traffic areas, but the kitchen is at the top of the list. And when you add the constant exposure to grease and cooking odors, special attention must be given to this key area. Surface cleaning by itself is not enough, it must be disinfected also. We have skilled kitchen cleaners who understand how to fully clean, shine, and sanitize your all your kitchen surfaces, appliances, and floors. After a complete dusting, our teams move on to gentle but effective cleaning of all your appliances inside and out, including range hoods and tops, drip pans, and knobs. Those little splatters inside the microwave are cleaned away, including under the turn-table. Then we’ll carefully clean and disinfect counter tops, drawer fronts, cabinet doors, plus your dining room table and chairs. The House Cleaning Brisbane maid service will polish your wood surfaces, sweep floors, and clean any hardwood or laminate according to the manufacturer’s recommendations. By the time we leave you can be sure your kitchen is completely clean and fresh, and the floors spotless with no residue or grit left behind. And after everything else is done, your trash will be removed and your cans cleaned and deodorized. House Cleaning Brisbane has cleaned thousands of customer bathrooms using our experienced teams. We understand exactly how to completely clean and sanitize your bathroom, including the toilet, tub, shower, sink, and cabinets. Dirt and bacteria can’t hide from us! Our standard domestic cleaning starts by removing rugs then cleaning off any hair from around the cabinet bottoms. Rugs are separately vacuumed and disinfected. Walls will be wiped down and cobwebs are swept off. The shower or tub is scrubbed and shined. All of this means that you can say goodbye to soap scum and tough residue stains. Our technician will then clean and polish glass and chrome surfaces such as faucets, mirrors, vanity, light fixtures and all other surfaces. Then after everything else is done, we’ll take out the trash, sanitize the can, and spray a clean scent in the room. Everyone understands the dangers of bacteria and germs. For good health, they must be kept under control, and cleaning agents are a big part of that job. The use of products labeled as “natural” is getting very popular, and many companies are claiming to be using “eco-friendly” cleaners. However, it takes more than a claim or a label to truly mean “natural”. That’s why you won’t see us taking a bottle of bleach or ammonia and slapping on a “Green” label. And just because it’s in a recyclable plastic bottle doesn’t make it safe around your children or pets. House Cleaning Brisbane is serious about providing safe and healthy homes for our customers, and we know you have your own preferences. This is why we are up-front in offering you traditional chemical-based cleaning practices, or green cleaning methods, or a mixture of both. 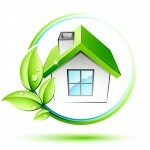 Factors such as children or pets can be important in your decision in selecting our green cleaning method. As an example, this might involve spray disinfectants in your bathroom during a weekly scheduled visit, but then rotating the use of chemical cleaners and natural products in specific areas of your house. 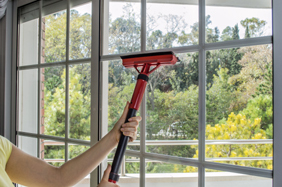 After you use House Cleaning Brisbane for the cleaning of your windows, you’ll be surprised at how suddenly bright the inside of your home is once we’ve done our magic. There’s no better window team than our skilled cleaners who understand that glass has two sides and both need to be cleaned! We also know how to make your windows clean without having any streaks. As with our other services, we offer our customers a choice of either traditional cleaning agents or natural products for our window cleaning. Be sure to let us know if you have a preference. House Cleaning Brisbane has many customers who only need help with big, one-time services such as spring cleaning. 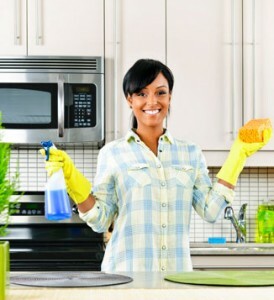 We also provide the option for an annual deep-cleaning and sanitizing of the entire house. This is traditionally done in the spring, or prior to weddings or special family gatherings. Our skilled, friendly cleaning crews will consult with you to develop a plan tailored to your needs. There will be no surprises, everything will be done just the way you want it. Our deep-cleaning service is very comprehensive. Just think about how much better you’ll feel if you can get away from the major cleaning projects and spend time on more important things. Our children and pets spend a lot of time on the floor. That’s why it needs to be especially clean, and properly cleaning a floor is a job for the professionals. Our experienced team do floor cleaning the right way, and treat your wood, tile, laminate, or other specialty floors with the right materials and techniques as recommended by the manufacturer. Your carpets receive special care also, including a thorough vacuuming to give your home that freshly-cleaned look. We maintain a wide inventory of both chemically based and environmentally friendly cleaning products so you have the option of selecting what is best for your home and the safety and health of your family. No job is too big, or too small, or even too dirty. 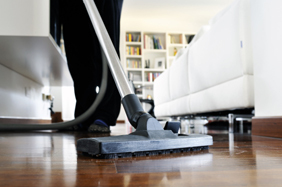 We at House Cleaning Brisbane offer the best all-around value for our customers. You really have better things to do than clean your home, so start enjoying your free time now. Call us today!